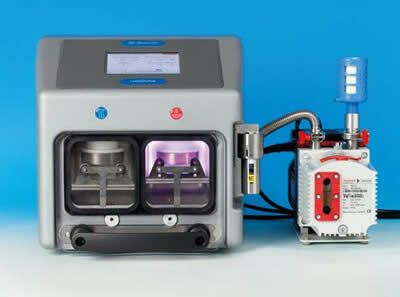 The EMS GloQube™ is the first-of-its-kind compact, easy to use, stand-alone glow discharge system. 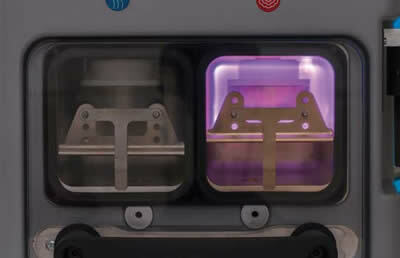 The GloQube has two independent vacuum chambers: a clean chamber, designed for applications requiring hydrophobic/hydrophilic conversion, typically using air as the process gas; and a vapor chamber, designed for use with reagents such as methanol and alkylamine. 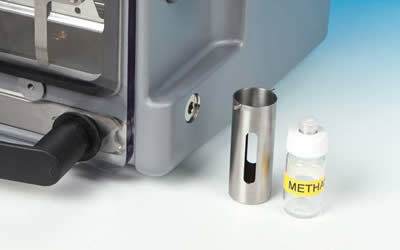 With operator safety firmly in mind, reusable septum-sealed reagent vials are used. 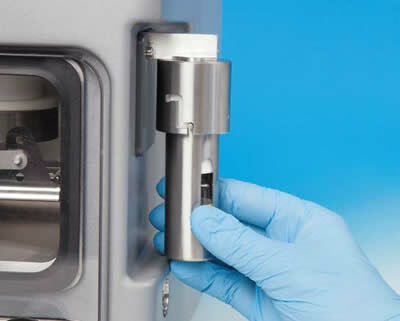 Loading and removing reagents is convenient and reliable – the vial, located in its holder, is inserted into a shielded needle using a simple bayonet fitting. 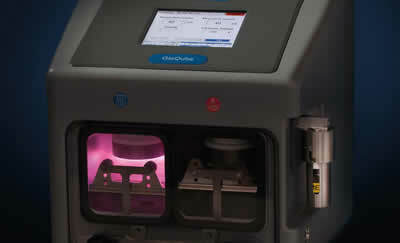 The primary application of the EMS GloQube™ is the hydrophilization (wetting) of carbon-coated TEM support films and grids which otherwise have the tendency to be hydrophobic. 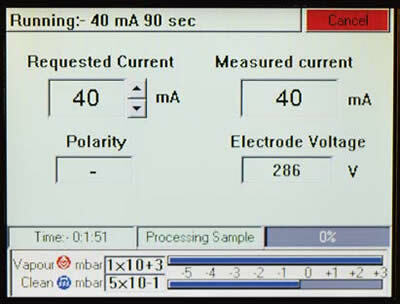 Glow discharge treatment with air will make film surfaces negatively charged and hydrophilic and allow the easy spread of aqueous solutions. This and other processes are outlined below. 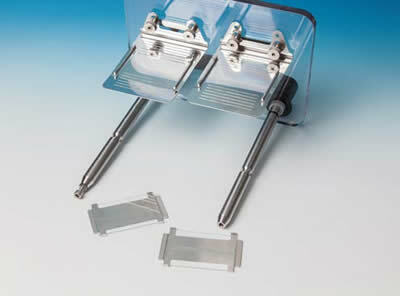 Each chamber can accommodate two 25 x 75 mm glass microscopes slides. Loading could not be easier using draw-style chamber doors and specimen stages. The stages are height adjustable and fitted with removable glass slide holders. 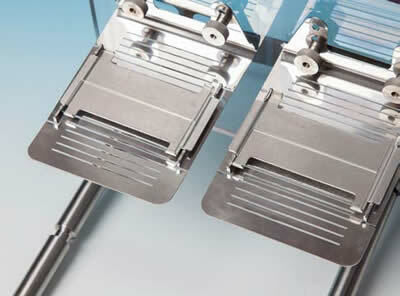 For additional convenience – and to allow easy access for chamber cleaning – the stages can be completely removed. The intuitive touch screen allows multiple users to rapidly input and store preferred process "recipes". 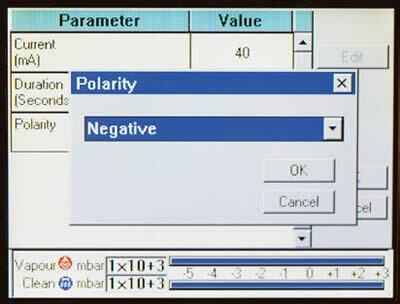 Typical default glow discharge protocols are loaded as standard. Additionally, help files and useful maintenance data such as system on time and time since last clean are readily available to the operator. An Ethernet communications port is included for software updates. 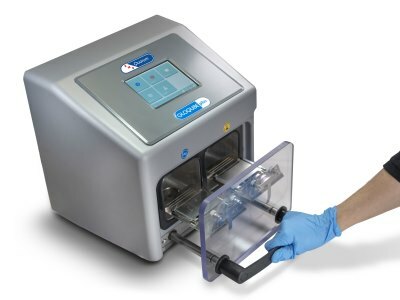 The GloQube™ has automatic valving between chambers which maintains cleanliness by preventing cross-contamination. At the end of a process run, automatic soft venting to atmosphere through filtered inlets ensures TEM grids are not disturbed. 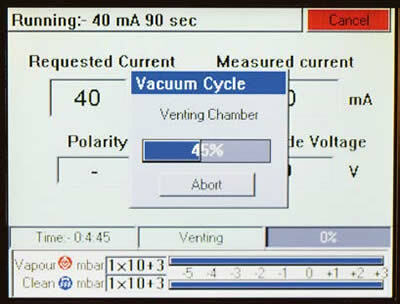 The GloQube™ requires a single vacuum pump working in the 0.1 to 1 mbar range. 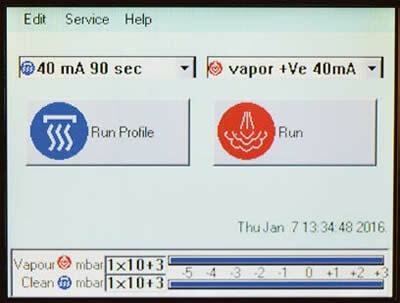 A typical pump time to operational vacuum is 60 seconds. 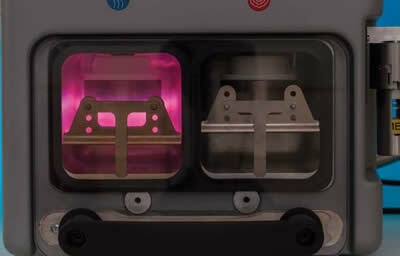 Electron Microscopy Sciences introduces unique preparation trays which may be used for staining and/or placing an evaporator for the coating of grids. 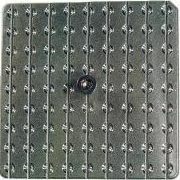 The trays have a M4 tapped hole in the center which allows for insertion of pin mount. 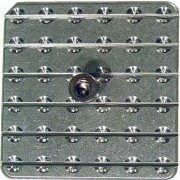 They also have a screw pin in the middle that may be used as a handle for manipulating the trays. They are made from medical grade aluminum and come in a plastic storage box.